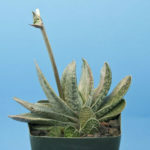 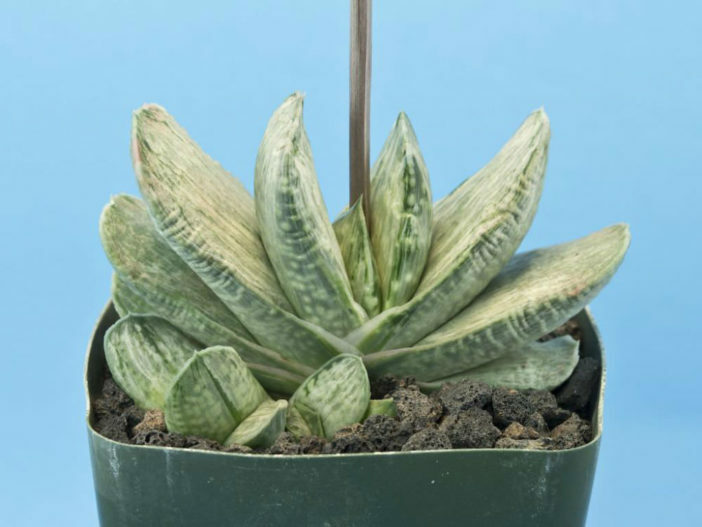 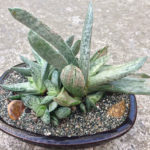 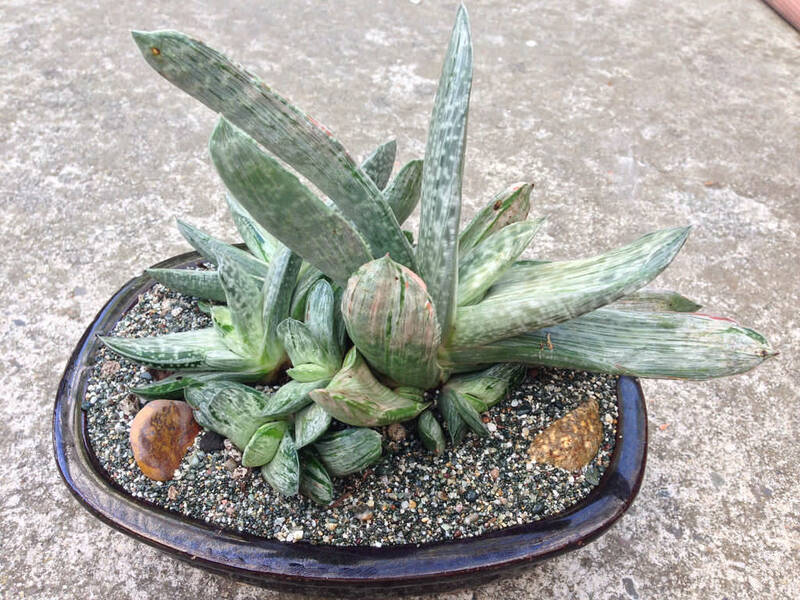 Gasteria ‘Sakura Fuji’ is a very attractive, slow growing, succulent plant up to 6 inches (15 cm) tall. 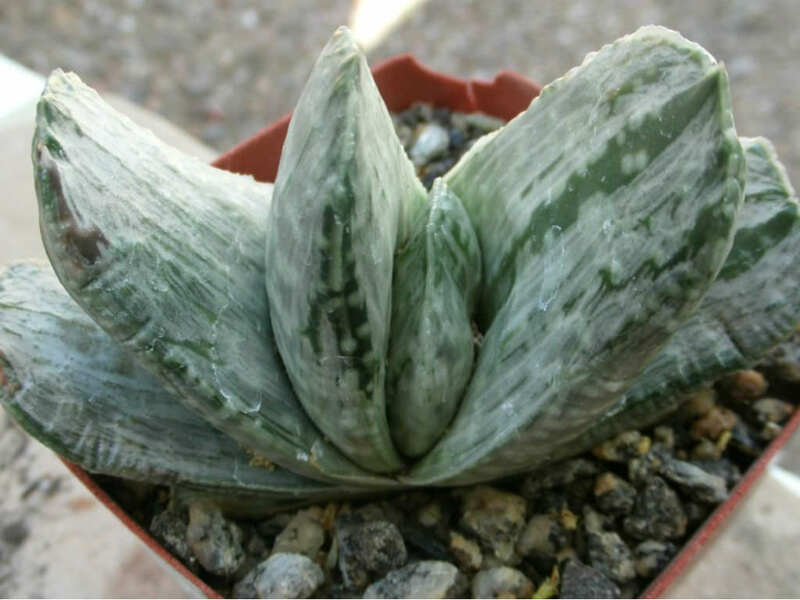 The leaves are tightly bunched, green, white and grey variegated and also shows some pink tones. 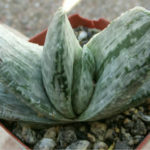 The tips have ridges that give it almost a monstrose look. 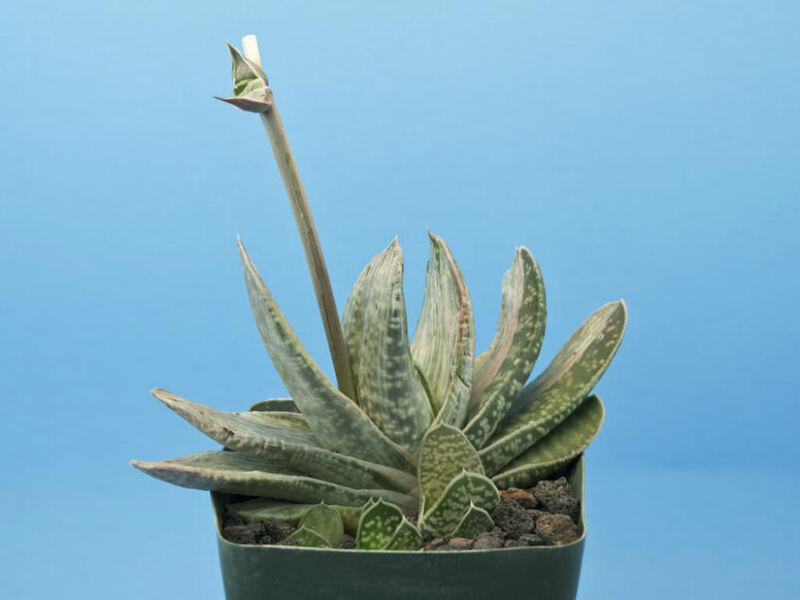 This plant will freely offset to form a clump.